﻿ Edinburgh Instruments Ltd - Matrix Scientific Trade Co. 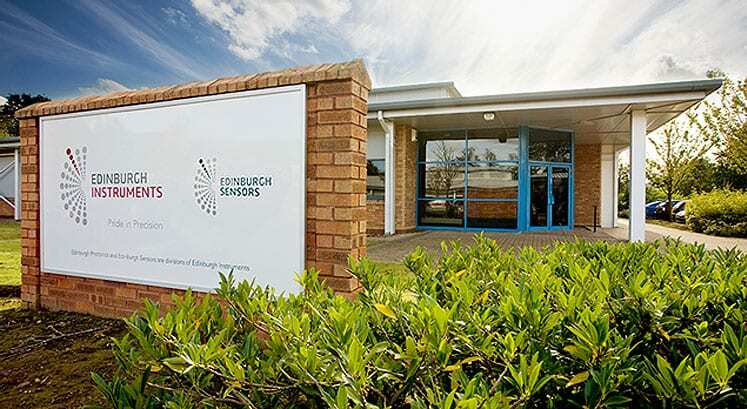 Founded in 1971 by Professor S. D. Smith OBE FRS, FRSE, FinstP, Edinburgh Instruments Ltd has become one of the world’s largest manufacturers of leading edge spectroscopic instrumentation and gas detection solutions. We were formed as the first spin-out from Heriot-Watt University and were the first private company on Britain’s first University “Research Park”. Edinburgh Instruments (EI) is now located across three buildings totalling nearly 30,000 sq. ft. of manufacturing and office space just outside Edinburgh, where it employs over 75 people. The company is involved in the development, manufacture and sale of a wide range of high technology products for the scientific research and industrial markets. Product ranges include lasers and analytical spectrometers supplied by the Photonics Division and gas detection and monitoring products supplied by the Sensors Division. Following rapid expansion, by the 1980s a full range of infrared and far infrared gas lasers (CW and pulsed CO2 and CO lasers and optically pumped TeraHertz lasers) were made available to the market. As pioneers of Time-Correlated Single Photon Counting (TCSPC), in 1978 the company developed a Fluorescence Lifetime Spectrometer system based around the successful nanosecond flashlamp. This product range has culminated in the development of the FLS980, the latest computer controlled, combined Steady State and Fluorescence Lifetime Spectrometers on the market and the FS5 one of the world’s most sensitive benchtop spectrofluorometers. EI products are used in an extensive range of markets and applications, including: photo-chemistry, physics, protein studies, biochemistry, biophysics, molecular spectroscopy, optical pumping, interferometry, plasma diagnostics, atmospheric studies, materials processing, solid state physics and material science, renewable energy, climate control environments, process control and much, much more. Over the years EI has continually diversified and developed new and innovative products, winning many international designs, technology and export achievement awards. We excel in providing one-to-one comprehensive customer service and continue to meet the needs of our customers worldwide. In 2013, EI was acquired by Techcomp Europe Ltd, a group of European companies involved in the manufacture and distribution of analytical systems, life science equipment and laboratory instruments with operations dating back to 1920. As well as Edinburgh Instruments, the Group comprises; Scion Instruments – (with operations in The Netherlands, California and Shanghai) experts in Gas Chromatography, Analysers and Single Quadrupole Mass Spectrometry, Froilabo– (with factories in France and Romania) specialising in Ultra Low Temperature technologies, Precisa – (manufacturing in Switzerland) offering a complete range of high precision metrology and weighing solutions and Dynamica – (based in the UK) that supplies a wide range of analytical and laboratory instruments. Techcomp Europe is owned by Techcomp (Holdings) Ltd whose ordinary shares are traded on the Stock Exchange of Hong Kong Limited (SEHK) as stock code 1298.